We celebrate Valentine’s Day by cooking together. Taking the time and giving a little more planning and effort speaks volumes. We decide on a menu we don’t have often and treat ourselves. 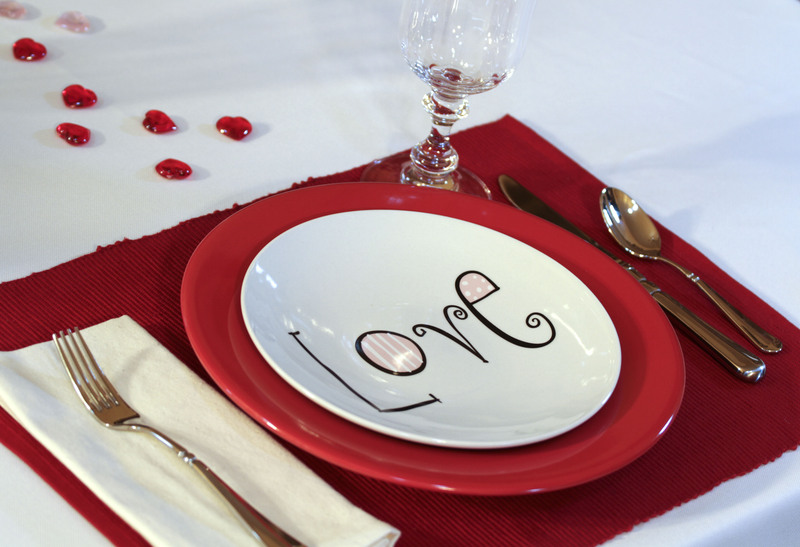 To set the atmosphere I use Valentine themed dinnerware I purchased a couple of years ago. We keep it simple but fun. Heat about 1 tablespoon of ghee in a non stick frying pan. Add about 3/4 – 1 lb of washed scallops. Cook turning once until browned on each side and opaque in the center. Optional: Thinly slice green onions and sprinkle on top. Melt ghee to dip scallops in and season with salt and pepper. Preheat oven to 400 degrees. Wash 2 large or 4 small sweet potatoes and wrap in tin foil. Place on a cookie sheet and bake 30-40 min or until done. Unwrap and pull skin off and put potato in a bowl. Add 1/2 cup of milk, 1 tsp of grated fresh ginger, salt and pepper to taste. Beat with a mixer until smooth. Cover with foil to keep warm. Wash asparagus and break off tough ends. Place asparagus in steamer and steam until fork tender. Serve with salt and pepper to taste. 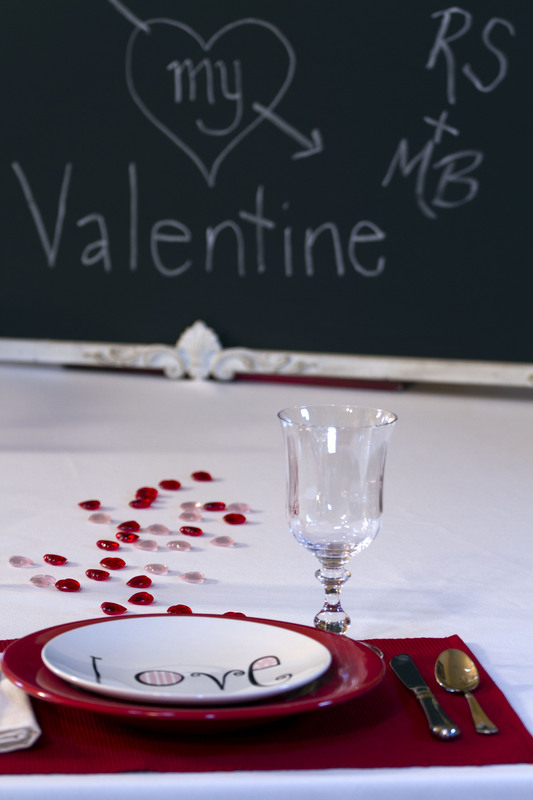 Grab your sweetie and make your evening special. Happy Valentine’s Day! 15 Feb	This entry was published on February 15, 2014 at 2:15 am. It’s filed under Holidays at the Cottage, The Cottage Kitchen and tagged asparagus, cooking, dinner, scallops, sweet potatoes, Valentine's Day. Bookmark the permalink. Follow any comments here with the RSS feed for this post.